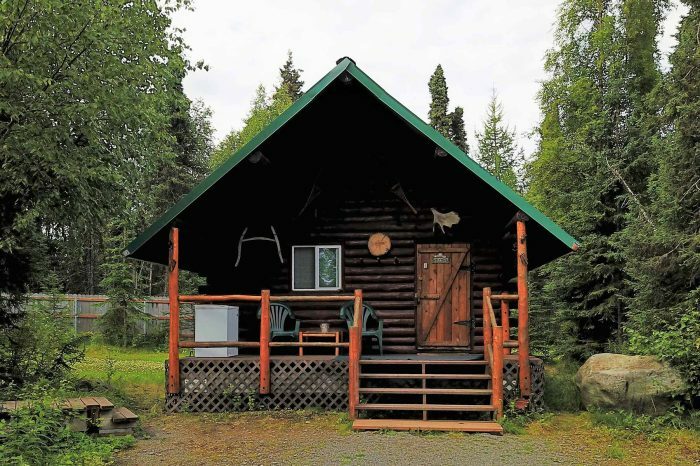 Cohoe is the second largest cabin and sleep five people, four comfortably. 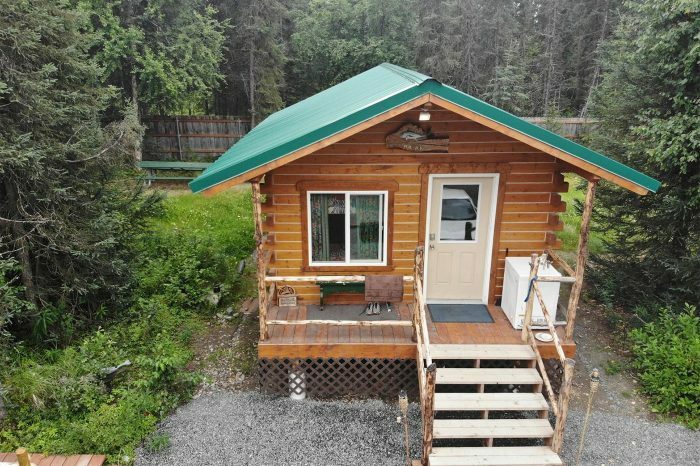 It is outfitted with a full bathroom and kitchenette including a refrigerator, coffee maker, hot plate and toaster. Out front is a private covered porch, fish freezer and barbeque grill. 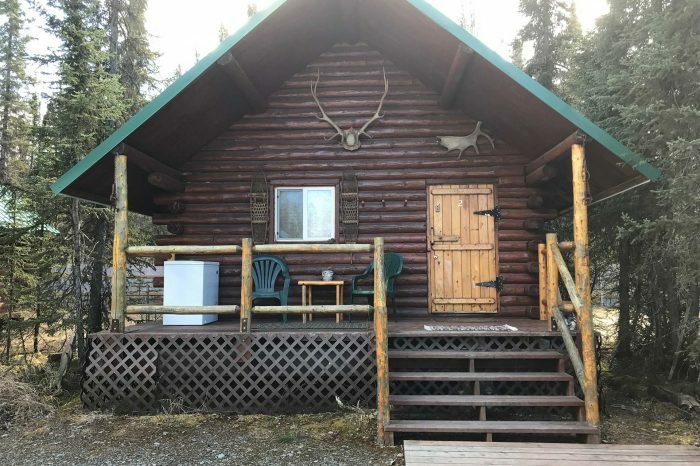 Cohoe Cabin is available for selected dates.